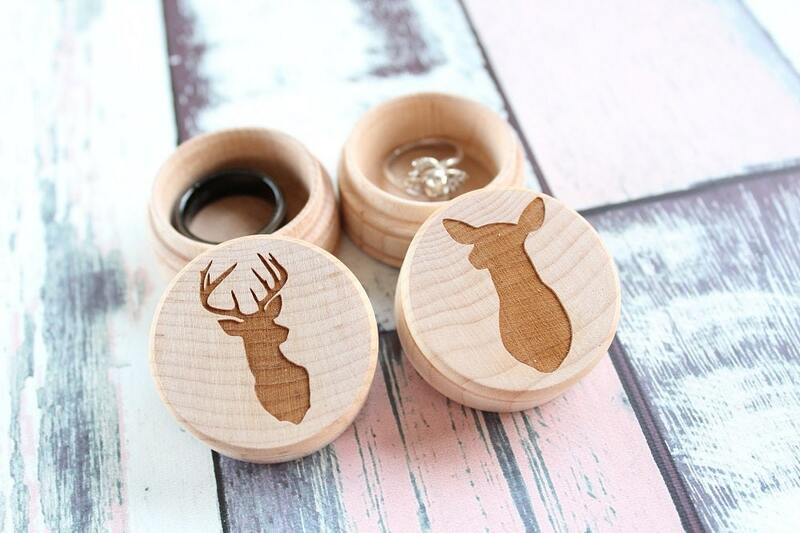 Laser Engraved Buck and Doe Ring Box Set. 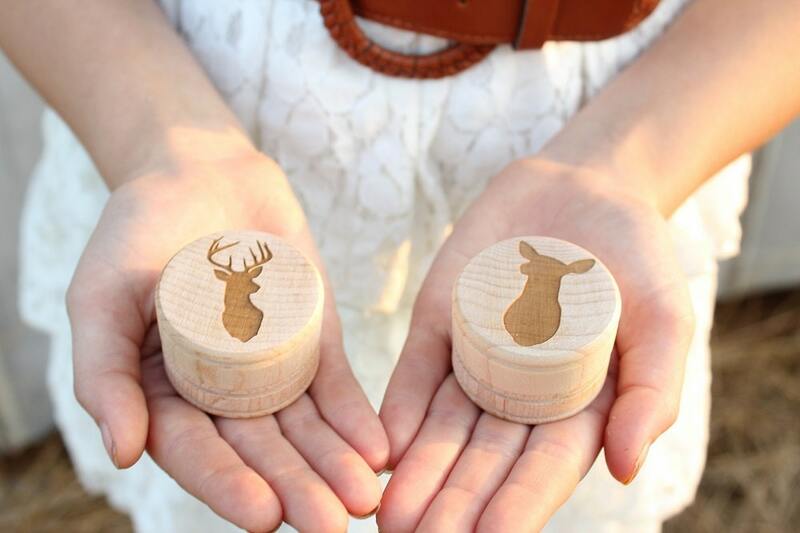 ♥ Buck and Doe images laser engraved on the lid. 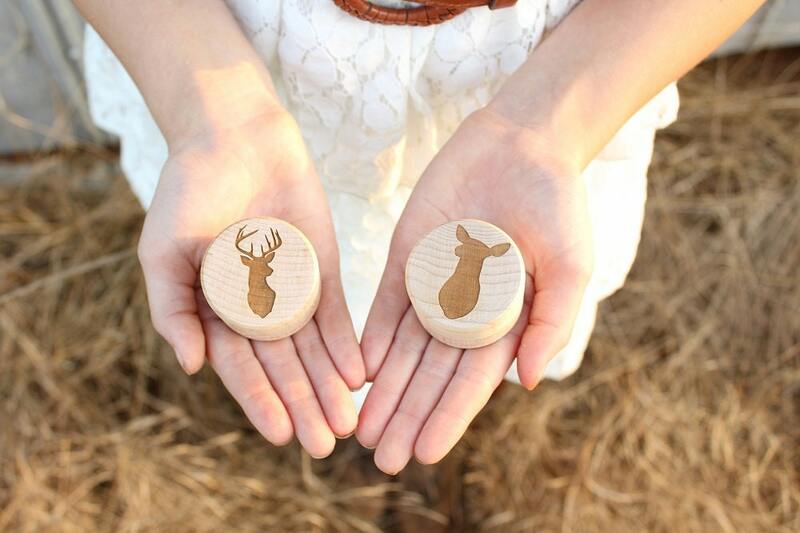 Cute country wedding Ring Bearer box and ring keepsake box.! 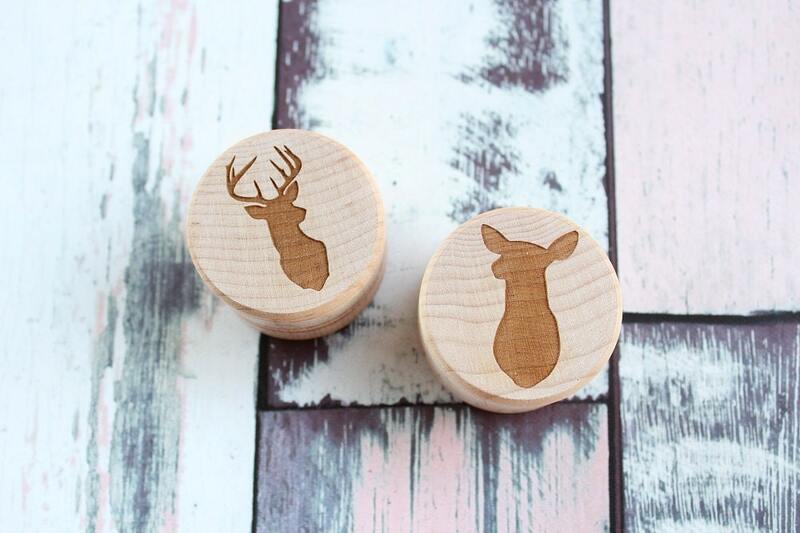 ****The lids on these ring boxes are NOT tight fitting. 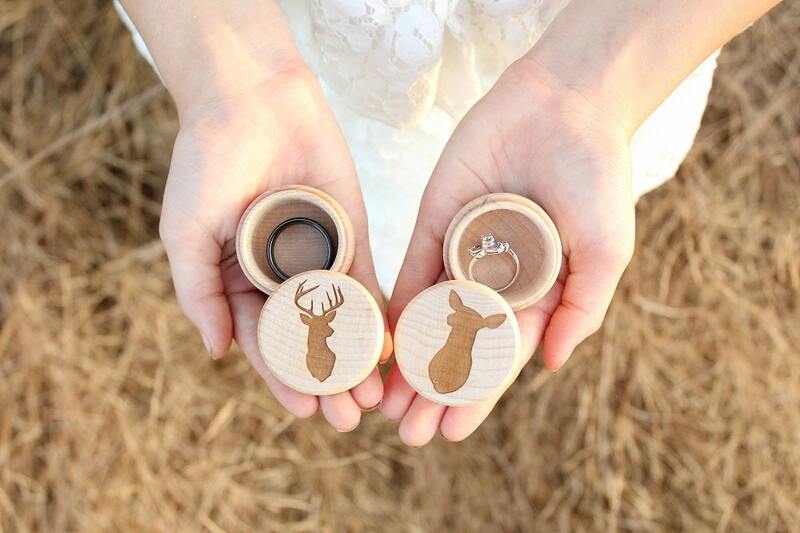 ***** I recommend using these ring boxes as a photo prop for your rings or as a place to store them at home. I would not recommend using these boxes to transport your rings since the lids do not fit tight. Late with this review, but these were absolutely perfect for our wedding rings and the seller is very prompt with inquiries and ships quick in very sturdy packaging for these delicate items! Highly recommend!! Amazing! Just loved them, came out great.